, which created a HD digital taxitop and high-speed WiFi system for taxis, has been a resident at Campus since their launch and have grown their revenue 100X during that time. In Tel Aviv, local community groups have hosted more than 1,000 events at Campus (and consumed 6,000+ slices of free pizza!). Building on the success of these spaces, this year we've announced new Campuses in Warsaw, Poland, São Paulo, Brazil, and Seoul, South Korea. And today, we’re welcoming another new member to the Campus family: Campus Madrid. We’re excited to open doors in all these new locations in 2015. Each of these cities has a growing startup community, as well as a Google office so our teams can get directly involved with supporting Campus. We hosted more than 1,000 Google mentoring sessions through our Campus Office Hours Program in London, and are planning similar efforts at our other locations. We’re also trying out new programs at all our locations to help even more aspiring entrepreneurs succeed. For example, Campus for Moms is a baby-friendly startup school for new moms on maternity leave. CampusEDU offers courses for founders both in person and streamed for free online, like this Friday’s session, Hiring Rockstars and Keeping Them. As with all our Google for Entrepreneurs programs, we hope Campus will provide a home for entrepreneurs and startup founders, and put resources at their fingertips to help them build transformative products and companies around the world. When entrepreneurs are empowered to dream big and take action, they’re capable of tackling significant problems—and they can be an important pillar of a thriving economy. As a former startup ourselves, entrepreneurship is still part of Google's DNA. That’s why two and a half years ago we opened our first Campus in London, a space designed to help entrepreneurs learn, connect, and build companies. Campus is a hub for the startup community, where entrepreneurs can fuel up on caffeine at the Campus Cafe, gather in our free event space, rent coworking space, and connect with mentors, accelerators and Google teams. So far, we’ve seen great results at our first locations, Campus London and Campus Tel Aviv. 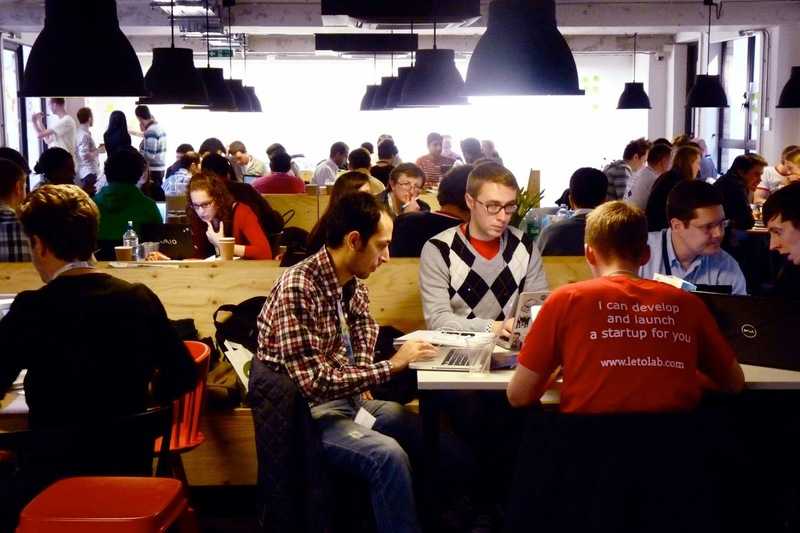 In 2013, startups at Campus London raised more than $54 million in funding and created more than 570 jobs. They’ve also created great products and services that are reaching consumers and customers. For example, Borrow My Doggy, which began at a Startup Weekend in London and also received funding from Seedcamp, one of our partners, lets dog owners with limited time for walking share their pooches with city dwellers who can't have their own. Eyetease, which created a HD digital taxitop and high-speed WiFi system for taxis, has been a resident at Campus since their launch and have grown their revenue 100X during that time. In Tel Aviv, local community groups have hosted more than 1,000 events at Campus (and consumed 6,000+ slices of free pizza! ).